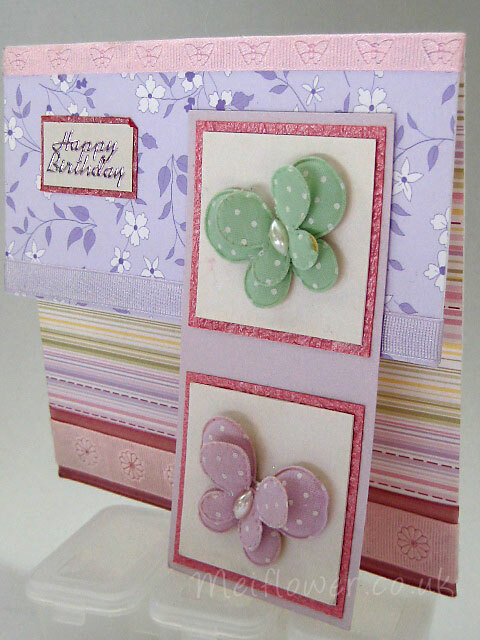 I love using butterflies and flowers. 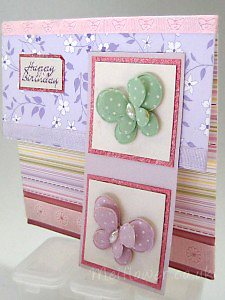 I designed these Polka Dot Butterflies in Pastel Colours. I love the double layers in this padded butterfly finished with a Pearl in the centre. These lovely floral papers perfectly match the Butterflies. - White base card 14.7 x 14.7 cm square. - On your Wedding Day paper 6.5 x 14.7 cm. 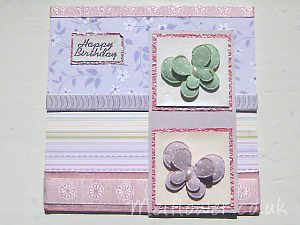 - Dusty pink card 6.5 x 6.5 cm square, pearlescent paper 5.5 x 6 cm. - Silver on your Wedding Day peel off. - Orchid Freckled Light Pink Centre. - Embossed White Flower Grosgrain. 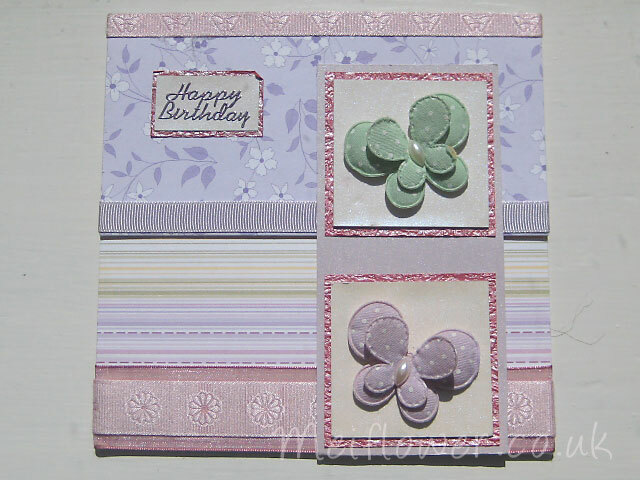 - Matt and layer dusty pink card 6.5 x 6.5 cm square with the pearlescent paper 5.5 x 6 cm. 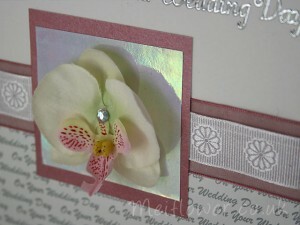 Stick the orchid head in centre of pearlescent paper. 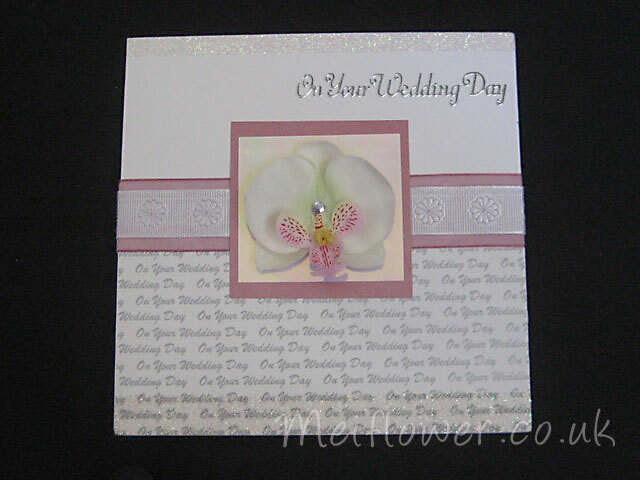 - Stick the On your Wedding Day paper 6.5 x 14.7 cm on bottom half of white base card. 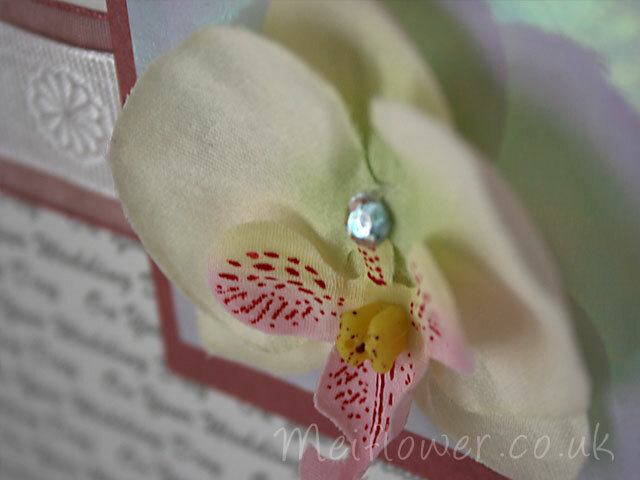 - Stick the white floral grosgrain on top of the plum organza ribbon. Stick above the wedding day paper. - Stick the framed orchid head in the centre of the ribbon. - Stick the peel off in the top right hand side of the white card base.